President and First Secretary of Zanu-PF Cde Emmerson Mnangagwa has commended efforts by the ruling party in assisting communities affected by Cyclone Idai. The cyclone left a trail of death and destruction in Chimanimani and Chipinge. The President commended the ruling party during yesterday’s 327th Ordinary Session of the Politburo. 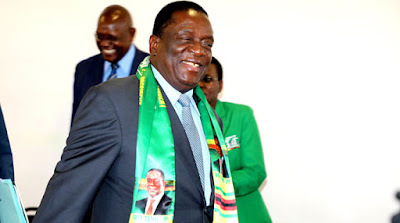 Addressing a Press conference on Politburo proceedings, Zanu-PF Secretary for Information and Publicity Cde Simon Khaya Moyo said the President warned against indiscipline and corruption. “In his opening remarks, His Excellency the President expressed the importance of the party to be ever vibrant and visible in every part of the country. Introspection is the key, hard work and honesty must remain the compass. His Excellency also highlighted the effects of Cyclone Idai and commended the party for its role in assisting in all disaster-affected areas. Cde Sithembiso Nyoni, who was standing in for the Secretary for Transport and Social Welfare Cde July Moyo, gave a report to the Politburo on Cyclone Idai. “On behalf of Cde July, who is Secretary for Transport and Social Welfare and also the Minister of Local Government, Public Works and National Housing, the Secretary for Business Liaison Cde Sithembiso Nyoni gave a comprehensive report on the Cyclone Idai disaster which has been covered extensively by all media houses so far. “Government and the international community have given tremendous assistance to all the affected areas and His Excellency on behalf of the nation has extended his deepest gratitude to all concerned. The aid continues to pour in.” Zanu-PF Secretary for Administration Cde Obert Mpofu gave a comprehensive departmental report which was discussed at length, and recommendations to strengthen party programmes were made and welcomed. “His Excellency clearly made his observations and advised on the way forward which were applauded by the Politburo,” said Cde Khaya Moyo. The Politburo also received a report from the Secretary for Finance, Cde Patrick Chinamasa, on the ongoing inter-party dialogue. “The Political Commissar, Cde Engelbert Rugeje, presented his commissariat report,” said Cde Khaya Moyo.